The Lotus Evora built at Hethel, UK. Lotus, a classic British marque, finally revealed its new Type 130 model at Auto Shanghai 2019 this week. The firm confirmed that the electric hypercar is in the works and already at an advanced stage, but that the concept will not be fully revealed until later this year in London. It did however unveil some teaser design shots indicating what we can expect. 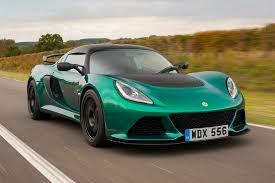 It is unlikely to look like any previous Lotus model, but retains a connection with them. Codenamed the Type 130, it continues to exhibit many aspects of the Lotus heritage that covers a period of 70 years. In the past a number of models have become iconic for the British firm. These include: the Type 14 (Elite, 1957), considered the world’s first production car with a monocoque structure made of composite materials; the Type 72, a multiple Formula 1 championship-winning race car; and the Type 111 (Elise, 1995), the world’s first production car with aluminium and bonded extrusion construction. The Type 130 is an electric hypercar that Lotus hopes will help restore Lotus’ image as a genuine alternative to Porsche and Ferrari. Furthermore, none of its potential rivals have any plans to produce an electric sports car until the middle of the next decade, so the Type 130 could help Lotus to have a first mover advantage in this sector. China’s Geely Holdings, which bought a stake in Lotus last year, is already developing the EV tech for high-performance cars that Lotus could leverage to position itself as a technology leader. Geely is committed to Lotus and is reportedly spending as much as $2 billion on future developments, including potentially increasing its stake in the British firm from the current 51%.There is also the new partnership with Williams Advanced Engineering that helped Aston Martin develop the Rapide E model. It is expected that the Type 130 will only be produced in small numbers and that it will have a hefty price tag. According to Motor Authority, Lotus also plans to launch a new sports car next year and an SUV is also in the pipeline to help the brand attract a more general audience of fans. The Titanium Luxury Hire mission is: “We want our clients to have the best experience possible when renting a luxury vehicle from us,” and we are available 24/7 to make sure we deliver on this promise to you. CONTACT US to reserve your dream car today. Sir Stirling Moss drives an original Lister Knobbly. 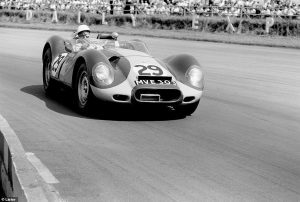 Lister Cars, and the Lister Knobbly, now owned by Lawrence Whittaker, is making a comeback decades after it was a big name in motor racing. The car in question was a Lister Knobbly from the 1950s, which Whittaker senior had bought in boxes. Lister made its name in the 1950s, when Brian Lister created his formidable eponymous racing cars on a relative shoestring. Knobbly may seem like an unusual name for a car, but its got its name from its low-slung body shape with bumps for the engine and wheels. Although only 50 cars were made between 1954 and 1959, the car was seen in more than 2,000 races. Brian Lister left car making and racing after Archie Scott Brown’s death in 1958, but the marquee did have a revival in the 1980s, with Lister racing and selling highly-tuned Jaguar XJS-based cars, and its own Storm and LMP cars in the 1990s and 2000s, including at Le Mans. The Whittakers, who had built up car warranty firm Warranty Wise from a kitchen table enterprise to a multi-million pound business, tracked down Laurence Pearce, who had bought the car company name from Brian Lister and made cars from the 1980s through to the early 2000. Although it has taken the Whittakers some years to launch their first car, but when they did, they were pleasantly surprised at the response to the car that cost £300,000. “When we released the press release for those cars they sold within two months, every single car,” he said. The Lister name has also benefited from the fact that Sir Stirling Moss, one of Britain’s most famous racing drivers has said, “this Knobbly is my favourite car I’ve ever driven.” And then he promised to endorse the car. Now the firm has a new HQ outside Blackburn, Lancashire, and is making new models based on a modification of the Jaguar F-Pace SUV and a tuned convertible Jaguar F-Type. Lister hopes to expand its relationship with Jaguar and bring a British firm to prominence once again. At Titanium Luxury Hire we have a range of Jaguar models for hire. Contact us to reserve yours today. The new Porsche Cayenne Coupe launches in May. The Porsche Cayenne Coupe is set to change people’s minds about sporty SUVs, which are finally becoming more mainstream than niche. The Cayenne Coupe is a market challenger to the BMW X6 amongst others. The original Porsche Cayenne SUV raised some eyebrows when it launched back in 2002, largely because people said there was no market for high end SUVs. This of course proved to be untrue, as we have witnessed, since there are now a whole swathe of them available. Anyway, the Cayenne became one of Porsche’s biggest sellers, and one of the world’s best selling luxury 4x4s. Paul Connolly writes, “The new Cayenne design copies what is, by now, the standard SUV coupe approach: identical at the front and raked downwards at the back end to produce a sportier feel.” Whilst Porsche executive Oliver Blume says: “The Coupe includes all the technical highlights of the current Cayenne, but has an even more dynamic design and new technical details that position it as more progressive, athletic, and emotional”. 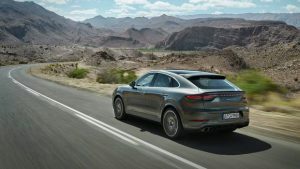 The highlights of the Cayenne coupe include sharper lines with a unique rear section, an adaptive rear spoiler, a rear bench with the characteristics of two individual seats, and two different roof concepts – a panoramic fixed glass roof fitted as standard, and an optional carbon roof. It may be sporty, but it can still take four people and it s has a roomy boot of 625 litres. Two choices of engine will be available when it launches in May, and thr standard model will arrive fitted with a 3.0-litre V6 petrol turbo delivering 330bhp. It is connected to an all-wheel drive, eight-speed auto gearbox, and has a top speed of 150mph/240kmh and a 0-62mph/100kmh time of six seconds. Titanium Luxury Hire has a wonderful range of Porsche models for hire, including the original Porsche Cayenne in standard and Turbo models. Contact Us today and reserve your Porsche driving experience now! The Porsche Half11 project promises to shock fans of the iconic 911 model, according to Motor Authority. 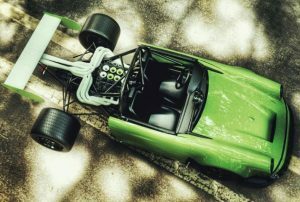 Autoweek calls it “heretical” and describes it as a “mysterious, psychotic tube-framed go-kart wearing the front end of an old Porsche like a mask.” It apparently looks nothing like the Porsche we know and love, and only the ‘face’ of it gives any indication that it comes from the same factory as the 911. The project comes from Oil Stain Lab, “a nascent, self-described assemblage of automotive visioneers; a collective of automotive designers, artists and creators,” headed by Nikita Bridan. Bridan said the goal was to create a 911 in an alternative universe—one where Porsche focused on the sports car as its only machine for motorsport. According to Bridan, “Oil Stain Lab decided to bring the idea to life after asking, what would the 911 have been like if cars like the 917 hadn’t come along?” The result is a top-level race car based on the 911. How did they create this unusual motor? Bridan said they bought a 911 chassis for around $450 and then went to work on creating a machine that according to the renderings shown to MotorAuthority, indicate it is, “something of a cross between a Formula One race car at the rear with a massive wing and a regular 911 in the front.” And many see it a cool look. But the Half11 isn’t ready yet: Bridan said the car has been cut up and the roll cage is partially built. However, they need more parts and there are details that still need to be worked on using CAD. He estimates that it will be ready for driving in six to nine months. Hire a ‘whole’ Porsche 911 Turbo from us, or choose a model from our extensive range of Porsche models for hire. We provide Porsche rental across Europe. See the Locations page for details. We can deliver your Porsche to your hotel, home or airport. Contact us now to hire a Porsche for your next trip. A sketch is all we have for now of the Audi AI:me! The Audi AI:me is one of the surprises that the German automobile manufacturer has in store for Shanghai 2019, one of the biggest motor shows in Asia. 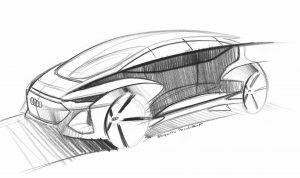 According to teaser sketches released this week, the concept car is likely to be sporty, with a low-slung hatchback and a large panoramic glass roof, says Motor Authority. It isn’t this first time that Audi has produced a futuristic concept car. In 2017 it unveiled the Audi Aicon at Frankfurt Motor Show. The Aicon design and concept form the basis of the firm’s self-driving cars that they will start trialling in 2021. The Aicon is a fully electric, fully self-driving car devoid of a steering wheel and pedals, and Audi envisions a future where the vehicle can be hailed for rides in busy urban environments. As Motor Authority points out, “Urban environments with highly detailed maps is where Audi’s first self-driving cars will venture” while testing its pilot fleet. Journalists noted that while the Aicon doesn’t have a steering wheel or pedals, the AI:me does have them, suggesting that drivers still have a role to play with this car. The Audi AI:me will be joined by the Audi Q2 L e-tron at the Shanghai show. This is an electric version of the Q2 compact crossover that the firm has been testing and will be sold exclusively in China. The Q2 is based on Volkswagen Group’s MQB platform. The same platform is found in the Volkswagen Golf, suggesting that the electric powertrain pegged for the Q2 L e-tron could be related to Volkswagen’s e-Golf. The Shanghai Motor Show starts on 16th April. Titanium Luxury Hire provides Audi rental across Europe. See the Locations page for details. We can deliver your Audi to your hotel, home or airport. Hire an AUDI today!